With the launch of the Samsung Galaxy S3 and the HTC One X, the two major smartphone product launches of H1 2012 are complete. Now, let's take a look at the competition between these two products and their impact on the smartphone market. HTC One Series - Savior? In the last 6 months, HTC has seen quite a rapid fall from grace. In Q3 2011, HTC topped Apple & Samsung to take the lead in market share among smartphone OEMs in the US. Although this was partly driven by the pre-iPhone 4S launch induced lull in Apple's sales, it was still an impressive showing by HTC. Fast forward to today; HTC has lost nearly 10% of its market share, to drop to third place behind the same two companies. This precipitous drop was driven by HTC's strategy of flooding the market with numerous devices. While this strategy did create a short-term competitive advantage in Q3, it had the effect of diluting HTC's brand in the market. Since there were so many HTC devices in the market at each price point, the desirability of every handset was reduced in the absence of a true "hero device". To HTC's credit, and in contrast with some companies in the industry, they admitted to the flaws in their strategy and set out to correct them immediately. Since recovering lost market share in the US market may be difficult, they have put their hopes into a geographically diversified growth strategy. Given the explosion of the smartphone market in the Asia-Pacific region, it seems like a reasonable strategy to follow. In any case, HTC has not completely given up on the US market either. With the HTC One X launching on AT&T and the HTC Evo 4G launching on Sprint, HTC has a few "hero devices" to bank on, that give it a good shot at stemming its market share losses. However, with AT&T focusing on pushing the Lumia 900, with questionable success, its lack of commitment to marketing the HTC One X may hold it back from being a mass market hit in the US. 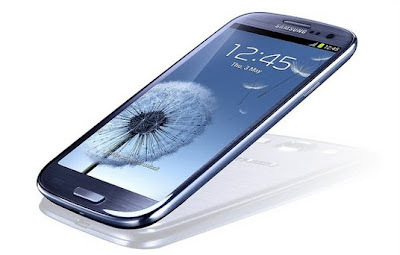 Samsung Galaxy S3 - The Next Big Thing? After announcing record results, and rocketing to global leadership in mobile phone shipments, Samsung has announced the most awaited Android handset of the year. Samsung has such high expectations from the Galaxy S3, that it has raised its smartphone sales target for 2012 to 200 million devices, which would give it a nearly insurmountable lead in the smartphone market. Now, let's be honest here, Samsung is the best consumer marketing company this side of Apple and that is one of the primary reasons for its success. But let's look at another major factor here - Timing. Samsung timed the launch of the Galaxy S3 perfectly. 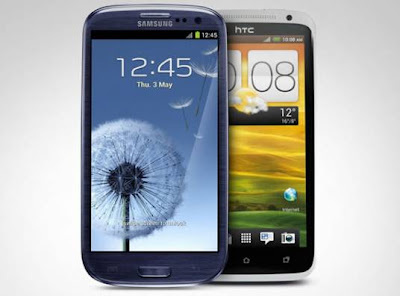 The two major competitors for the Galaxy S3, in terms of market buzz, are the HTC One X and the iPhone. Let's take a look at the timing of the Galaxy S3's launch with respect to these two competitors. 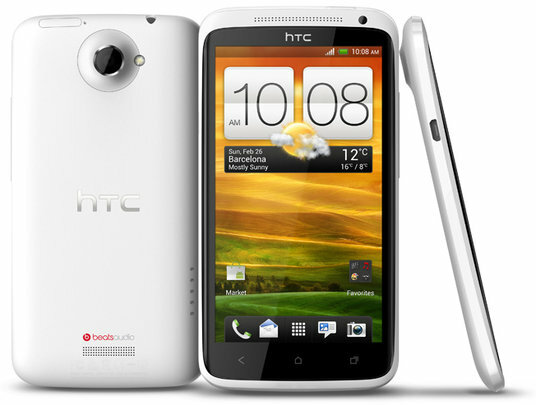 Now, the HTC One X is still in process of building up some excitement in the market with its international launch and just ahead of its release on AT&T. At the same time, we are currently right in the middle of the period between the launch of the iPhone 4S and that of the iPhone 5, which as per the last few years, typically leads to a lull in iPhone sales. So, internationally, the time is ripe for the Galaxy S3 to steal all the limelight and sales over the next two quarters. The challenge Samsung now faces is to make sure the US release of the device is not delayed. The delay in the US release of the Samsung Galaxy S2 last year caused a considerable amount of lost sales to competitors, particularly HTC (in Q3 2011). With Samsung launching the device on all major US carriers, it is imperative for major launches to be complete before the launch of the new iPhone in September/October. Conclusion - The HTC One X faces some pressure from Samsung's marketing muscle internationally, but in the US, there should be enough time before the Galaxy S3's launch for it to make an impact. HTC would be smart to not bank on AT&T's support and market the device aggressively. The Samsung Galaxy S3, meanwhile, is the next great sales driver for Samsung, with international success virtually guaranteed. But the scale of its success in the US market will be decided by the timing of its launch on major carriers.